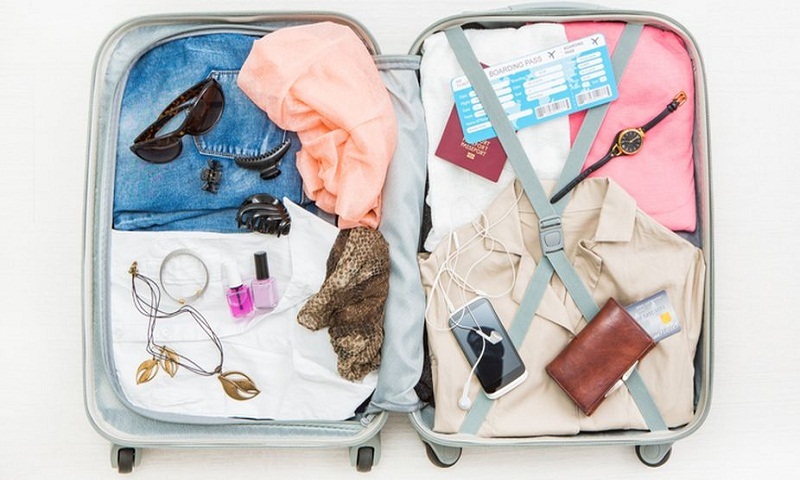 Experts have listed the products that are a must-have for summer travels. * Camouflage concealer: Designed to conceal skin’s irregularities and imperfections camouflage concealer works as a special corrective shade to ensure a flawless makeup finish. * Kohl pencil: Go for a waterproof, smudge proof and transfer proof finish pencil. Apply on the waterline to get an eye-popping effect. * Eyeshadow: Eye shadow that contains special silicones and treated pigments ensures an easy, smooth, long lasting, and crease resistant application. So check before buying. * Lip tint matte: It is a trendy lip product that will provide full coverage and a silky matte finish. It ensures a long lasting effect, does not smudge and is transfer resistant. A handy little sponge makes the lip tint easy to apply, while intense colours will compliment any make-up or skin tone. * Lip oil: An ultimately shiny oil that will keep your lips moisturised, softened, and smooth, while providing a high gloss. Go for oil which has alpine apple seed oil, cherry kernel oil, apricot kernel oil, argan oil, jojoba oil, shea butter, and vitamin E like Inglot’s High Gloss Lip Oil. * Mostly, men prefer citrus scents and in the summer months women tend to lean that way as well. Bear in mind, the best citrus-based fragrance choices are the ones that are reinforced with woody, floral and fruity notes to make the fragrance stay on you for longer. * Summer perfumes usually are citrus-based scents that cool the skin and envelope the wearer in fresh uplifting aroma. The summer sun can agitate the fragrance, causing it to evaporate faster rather than sticking to your skin. So it is ideal to carry your summer fragrance in your travel bag and reapply the same throughout the day.